Huntington Beach Public Library’s Veterans Resource Center can be the connection vets need for help. Our skilled volunteers can help veterans with finding employment, accessing health benefits, buying a home, and other needs. 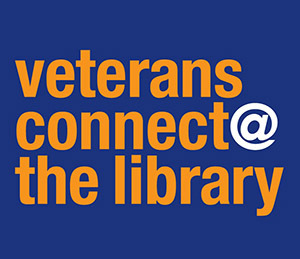 The Veterans Resource Center is located inside Central Library behind the reference desk and is staffed by volunteers Tuesdays through Thursdays from 4 pm to 8 pm and Fridays & Saturdays from 10 am to 2 pm. You can also reach us by phone at (714) 375-5111 or by email at HBPLVetCenter@gmail.com. Beyond our dedicated group of volunteers, there is a wealth of valuable online resources to help you with various questions. Please visit these websites for a specific program or resource.